Web Design and Website Development Services. Our design credo is simplicity. Your customers can be put off by a website with too much clutter. Clutter does not look professional. That's why we prefer to keep the messaging and layout clear and neat, with sufficient aesthetic appeal. All professional websites have great navigability, user-friendliness, is fast loading and are properly Search Engine Optimised. We work closely with you to first analyse your business and user needs to enable us to make considered decisions about the content, functionality, technology, marketing punch, and look & feel of your website's design. 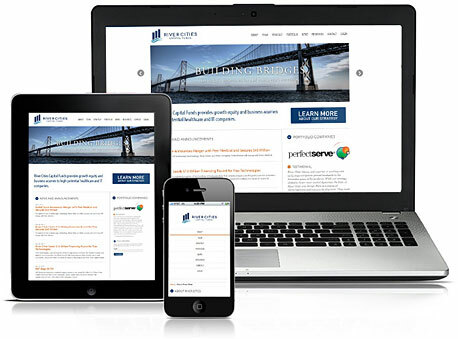 Responsive Web Design makes your web page look good on all devices (desktops, laptops, tablets, and phones). Responsive Web Design is about using CSS and HTML to resize, hide, shrink, enlarge, or move the content to make it look good on any screen. To have a website that really works for you, you need to have meaningful and relevant content. It is better to have relatively little content that communicates exactly what you want to communicate, than it is to have reams of content with no clear purpose. Your content needs to be understandable and attention grabbing, while key information stands out and is not buried under a mountain of unnecessary clutter and useless information. To have your website on the internet, is only half the job done. You have to ensure that search engines can easily find your website, when somebody searches for your products or services - consequently your new website needs to be Search Engine Optimised and properly marketed. At Silverweb, on page Search Engine Optimisation comes standard with our web design services. We also do a manual search engine submission of your website to all the major search engines. Let Silverweb Maintain Your Website. Your time is best spent on doing what you do best, running your business. Our business is helping you to free up your own time to do just that, and at the same time have a profitable, up to date website! Not only is this important to your clients and prospective clients, but it is vital to search engine popularity as well. A website that is built and then never changes, will soon loose popularity with search engines. Each client has different needs with regards to how much website maintenance their website will require. Some need weekly updates, some monthly and some only a couple of times a year. We are very flexible as to what we can arrange.